Every 2018 Wrangler at Chrysler Dodge Jeep Ram of North Savannah proudly sports the Trail Rated® badge that signifies their ability to excel both on and off of the Georgia roads. In order to earn these coveted badges, vehicles must conquer a series of grueling tests over the toughest terrain Savannah has to offer. These grueling tests prove a vehicle’s ability to withstand harsh conditions while delivering incredible off-road capability. True to its heritage, the new 2018 Jeep Wrangler has the traction needed to handle some of the harshest and most unpredictable Georgia driving conditions. Transferring power to the ground efficiently is the key, and these 2018 Wrangler models are available with three different 4×4 systems, with each designed to satisfy different applications. While the all-new 2018 Wrangler lineup at Chrysler Dodge Jeep Ram of North Savannah might look familiar, if you take a closer look you’ll find upgrades and intelligent improvements at every turn and corner. Like those who instinctively explore what’s possible, the 2018 Jeep Wrangler is never satisfied with simply standing still. 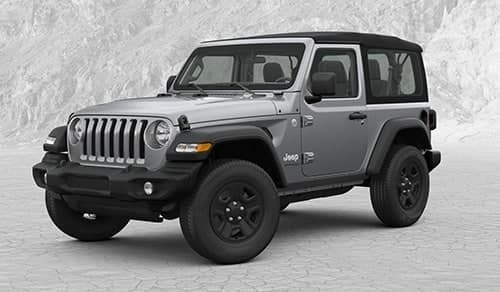 While remaining true to its heritage the all-new Jeep Wrangler has been improved in many ways, including new air extractors that have been added behind the fender flares to help keep the engine compartment cooler than ever. Jeep Wrangler features an easier way for you to experience freedom in the Savannah, Georgia outdoors thanks to their easily foldable windshield design. The fold-down process requires the removal of far fewer bolts than previous models, allowing owners to get back to the off-road fun faster than ever before. 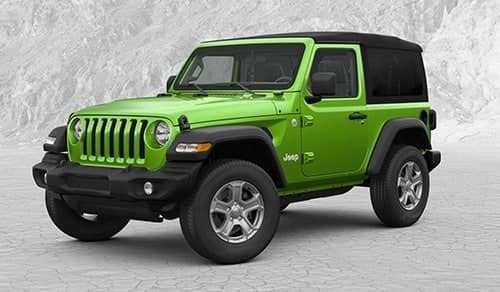 A new body-color sport bar is a part of the permanent windshield frame structure, while redesigned hood bumpers feature cleverly integrated washer nozzles that give the 2018 Jeep Wrangler a sleek and seamless appearance. The all-new Wrangler lineup at Chrysler Dodge Jeep Ram of North Savannah takes inspiration from their storied history while taking advantage of the latest technology and materials to create what is an inspiring and unforgettable interior design. New levels of fit and finish are expertly combined with rugged details to help the 2018 Jeep Wrangler deliver an unforgettable Savannah, Georgia driving experience. Both fun and functional, your new 2018 Wrangler is the ideal vehicle for any occasion or situation. Strap in, get comfortable, and settle in for what will be the ride of your life in Wrangler’s all-new interior that includes major improvements and upgrades. An all-new new seat design offers Savannah, Georgia owners both extreme comfort and maximum support, but that’s only a snapshot of what these innovative Jeep Wrangler interiors have in store for you. With available heated front seats, a driver seat with two-way lumbar adjustment, additional rear seat legroom, premium armrests and much more, the new 2018 Jeep Wrangler can help make every trip you embark upon one to remember. 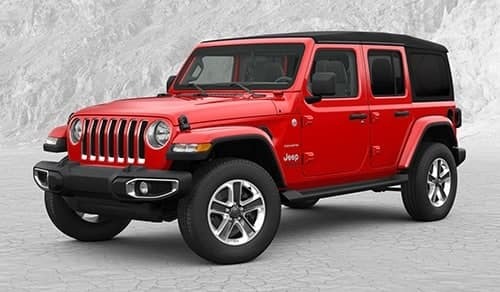 Chrysler Dodge Jeep Ram of North Savannah serves customers from Garden City, Georgetown, Savannah and all of the surrounding communities, helping them find the new 2018 Wrangler that can accommodate both their lifestyle and budget. We’re proud of the premium level of customer service that our sales team is known for providing, and we do everything possible to ensure that each person that enters our dealership leaves satisfied. When it’s time to purchase your new 2018 Jeep Wrangler, come by 1100 Chatham Parkway in Savannah, Georgia and speak with any of our friendly and knowledgeable sales personnel.